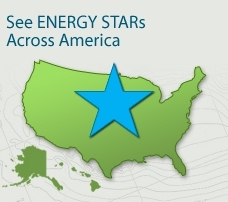 Today, the EPA is introducing ENERGY STARs Across America – a grassroots effort to help families learn about energy saving actions they can take at home and in their communities. To get involved, check out www.energystar.gov/changetheworld where you can learn about energy efficiency events in your community, take the ENERGY STAR Pledge, and even enter the Be an ENERGY STAR Video Challenge. I had a home energy audit performed recently with a company called Better Built Energy Savers, and ended up saving a great deal of money on my electric bill with specific advice and solutions that they’ve offered. I would highly recommend contacting a local professional that does the blower door test rather than taking pledges and potentially doing an energy audit yourself. Good luck to all though!